This is it ! The day has just arrived. 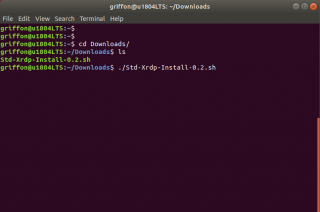 Ubuntu 18.04 LTS has just been released and it’s time to have a look at the xRDP software solution and see if any major changes have been introduced with this version of the Operating System. Usually, we would describe how to perform a manual installation providing step by step instruction guide. 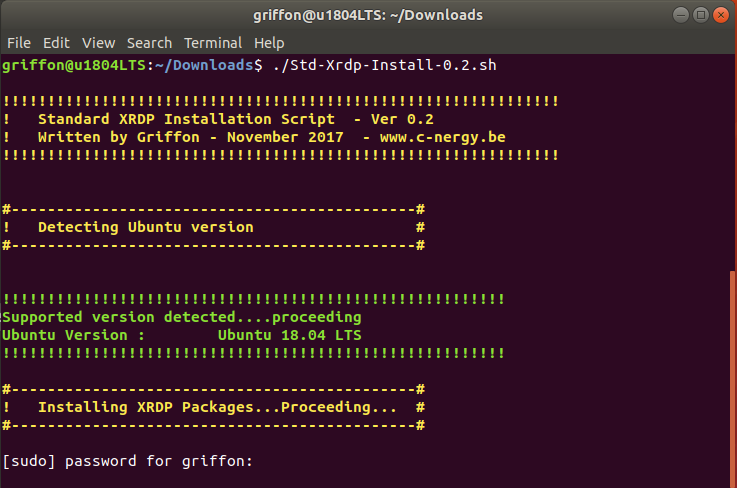 As the process of installing xRDP and have it working didn’t change much since the Ubuntu 17.10 release, we will update the standard installation script that we have developed for Ubuntu 17.10 and make it working for Ubuntu 17.10 and Ubuntu 18.04 editions. This post is basically an update of an existing post that was covering the version Ubuntu 17.10 (see this post). 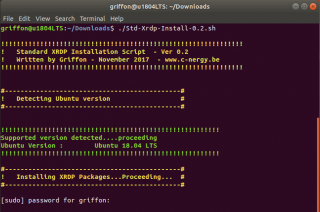 Please use the search function or go to the xrdp section of this blog if you need xRDP installation instructions for different Ubuntu Editions. No additional desktop interface has been installed. We assume that you have internet connection on the Ubuntu machine. The internet connection is needed to download the necessary packages that will be installed on your system. /bin/echo -e "\e[1;36m# Standard XRDP Installation Script - Ver 0.2 #\e[0m"
/bin/echo -e "\e[1;36m# Written by Griffon - April 2018- www.c-nergy.be #\e[0m"
/bin/echo -e "\e[1;33m! 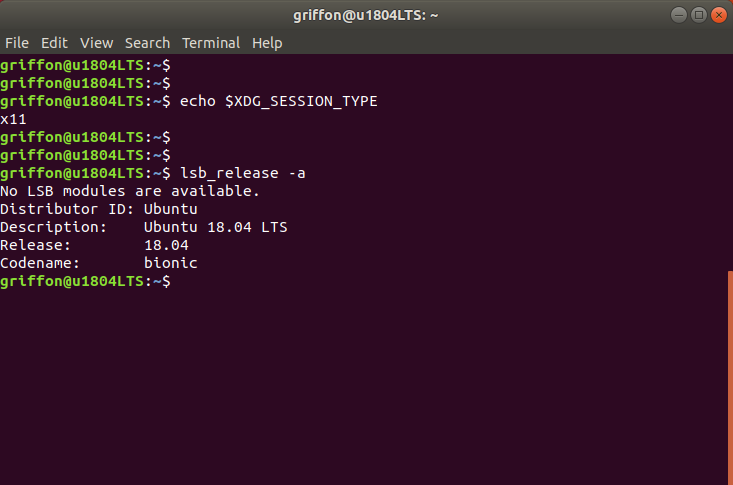 Detecting Ubuntu version # \e[0m"
/bin/echo -e "\e[1;32m.... Ubuntu Version :$version\e[0m"
/bin/echo -e "\e[1;32m.... Supported version detected....proceeding\e[0m"
/bin/echo -e "\e[1;31mYour system is not running Ubuntu 17.10 Edition.\e[0m"
/bin/echo -e "\e[1;31mThe script has been tested only on Ubuntu 17.10...\e[0m"
/bin/echo -e "\e[1;33m! 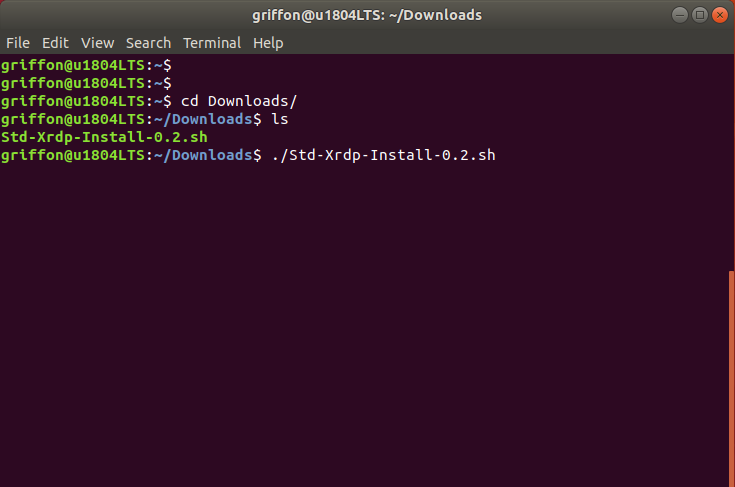 Installing XRDP Packages...Proceeding... # \e[0m"
/bin/echo -e "\e[1;33m! Installing Gnome Tweak...Proceeding... # \e[0m"
/bin/echo -e "\e[1;33m! Granting Console Access...Proceeding... # \e[0m"
/bin/echo -e "\e[1;33m! Creating Polkit File...Proceeding... # \e[0m"
/bin/echo -e "\e[1;33m! Install Extensions Dock...Proceeding... # \e[0m"
/bin/echo -e "\e[1;36m# Installation Completed\e[0m"
/bin/echo -e "\e[1;36m# Please test your xRDP configuration....\e[0m"
/bin/echo -e "\e[1;36m# Written by Griffon - April 2018 - Ver 0.2 - Std-Xrdp-Install-0.2.sh\e[0m"
Provide the password and proceed with the installation. Wait for completion of the script. The machine will not reboot automatically when done so you can review the actions performed by the script…. 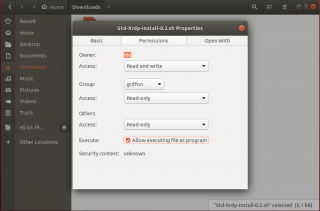 step 4 – At this stage, you should see your standard Ubuntu Gnome Desktop with the Dock visible…. Ubuntu 18.04 LTS seems to be a good polished release and in a few weeks we will probably start deploying some computers as pilot projects. The choice has been made to move away from Unity Desktop as it will be discontinued in the future. 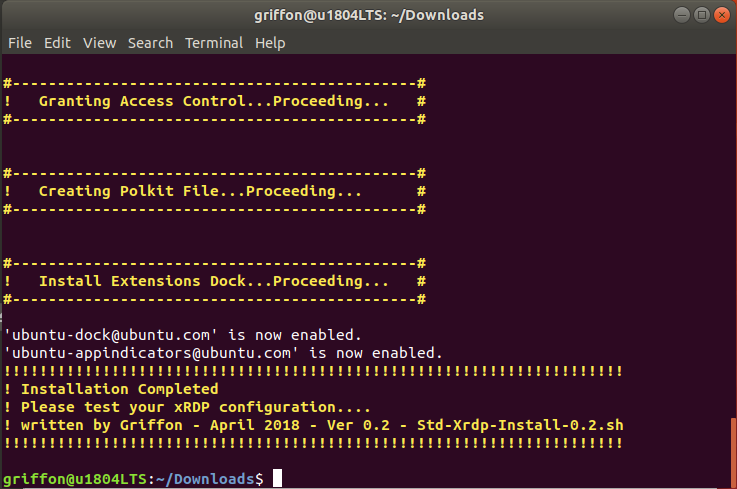 xRDP and Ubuntu 18.04 are working well together. On my LAN network, I had the feeling that the desktop interface was quite responsive (less sluggish than previous implementation of xRDP). I do not know if this is due to the fact that the Gnome desktop is used instead of Unity Desktop which might introduced some additional load on the remote session…. xRDP software seems to be a good replacement solution for VNC software solution even more since Gnome Desktop is used as default Desktop. 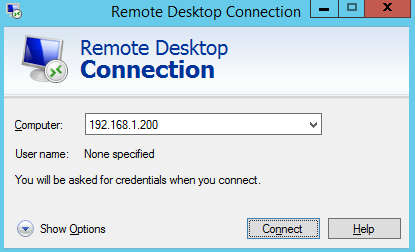 The advantages of using xRDP are that the service starts at boot time and nobody needs to be connected to the machine to perform a remote desktop session. 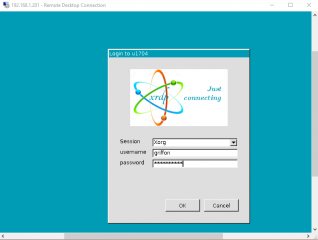 Another advantage of xrdp solution is that it creates a new display when performing the remote connection and nobody can monitor your actions if screen is connected to the remote machine which provide more security in way. 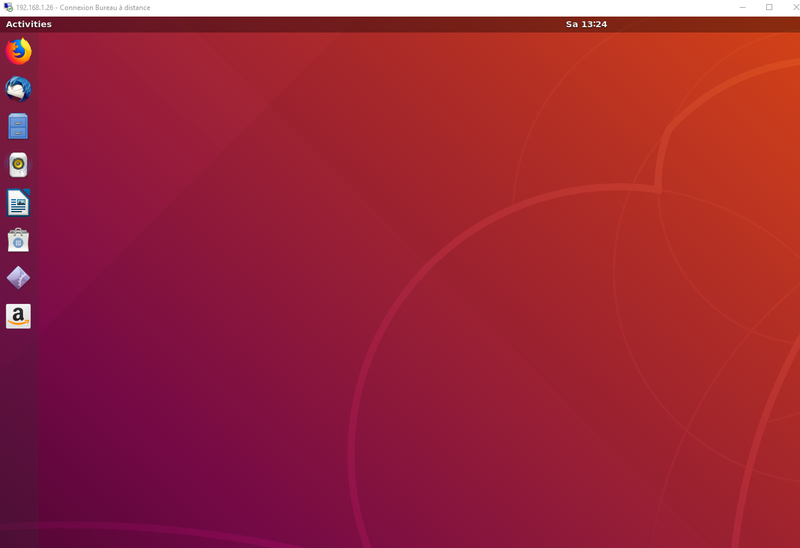 Yes, it’s possible to have vnc server start at boot time but since Ubuntu is now using GDM3 login manager the process is really complex and the process to make the remote connection is also cumbersome (you need to perform two remote desktop connections – see this post). We are not even sure that the process described here still works for Ubuntu 18.04…. xRDP has still some drawbacks. The first one is that you cannot connect to the console (Display :0). 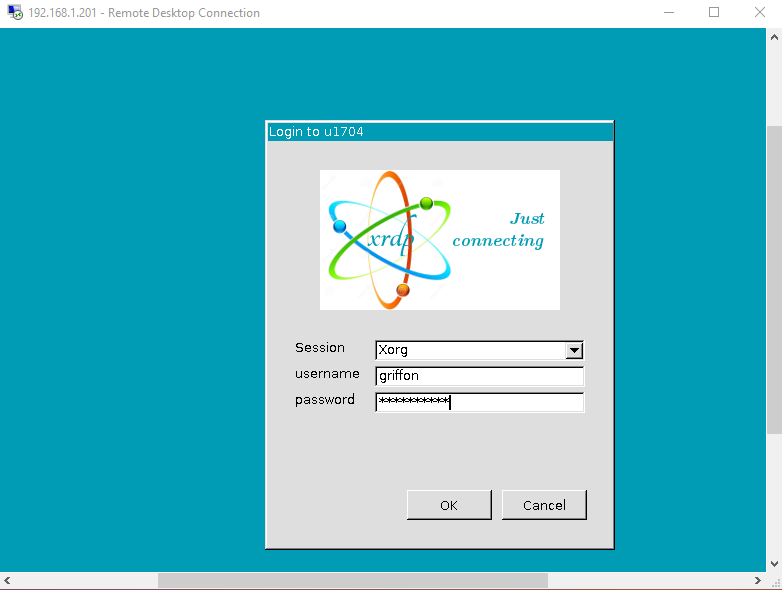 The other limitation of xRDP is that a user can only remote connect if the user is not physically logged on into the system. 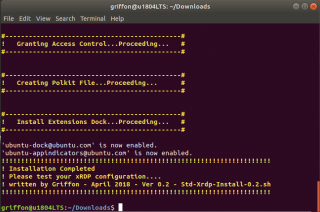 However, xRDP seems to provide a standard way of accessing remote machines and provides easy inter-operability capabilities with Windows world…. The updated version of the script should provide you automation and simplify the installation and configuration of xRDP software solution. The manual installation is always an option but then you have to perform the configuration of your desktop when performing your first remote desktop connection….The updated version of the script streamline the installation process and configure (partially) your remote desktop session and will make the Dock and the top bar menu available by default in your remote session. 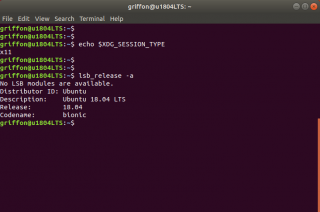 Ubuntu – Ubuntu 18.04 Release available after solving a lot of hickups…. This is probably due to PolKit Configuration that denying access to the partitions when connected remotely. Thist post (see https://c-nergy.be/blog/?p=12073) would give you some indication where to look and which file to modify. You have to find a file like /usr/share/polkit-1/actions/org.freedesktop.udisks.policy and update it accordingly…. Thank you for sharing. But. I can’t connect Ubuntu server. After loigin, I met a log window, follow are. And…. two lines had error message. Can you advise to me..?